The final three hours of our day are part of our After School Program. These hours include outdoor free-play time and planned activities until the waning light as well as supported indoor activities. 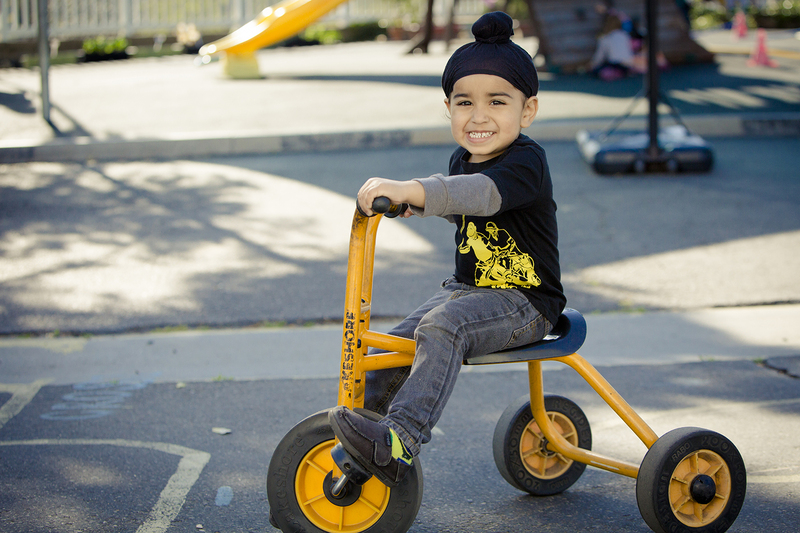 We believe that children should be given an array of activities to choose from, and believe that ultimately, kids should be able to play! Please rest assured that your child is in a warm, loving environment that will feel like an extension of your home! 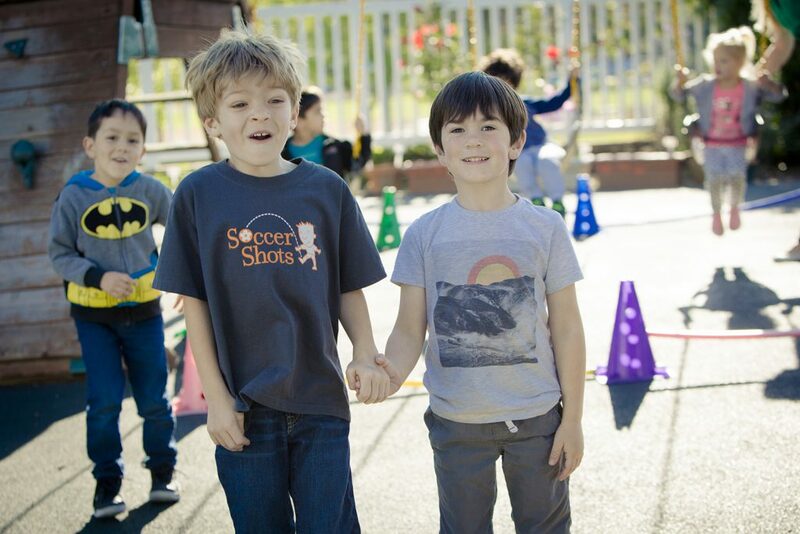 Mission Viejo Montessori believes in the “whole child” concept in your child’s growth and development. Because of this, we offer a full range of learning experiences and programs that will engage, enhance and allow your child to express her or himself in a safe and nurturing environment. During Mission Viejo Montessori’s Music and Movement classes, children are led through a variety of activities to stimulate their motor development while instilling an appreciation for music and the arts. By singing songs, dancing, and improving spatial awareness and body coordination, your child will learn another form of self-expression and gain self-confidence as he or she commands greater control over their body and voice. Further, we explore multicultural music and instruments (maracas, drums, bells, agogos, rhythm sticks, etc.) to teach that every culture of the world has music – it connects us all! Other movement activities focus on learning a specific skill, such as hopping on one foot, balancing, or moving in slow motion. Children also enjoy reading books about music and musical instruments, which has become a wonderful way to tie music to early literacy. Additionally, many of the songs sung are coordinated with classroom themes or student interests (such as songs about the seasons or songs about rainforest animals), following our designed curriculum plans. Children are nearly always engaged in some type of dramatic play. If one observed children playing together, it would be immediately noticed that they are reenacting situations from their own lives, imitating adult roles, or making up new situations. These forms of pretend play is important in children’s development of social skills, practicing and developing language and vocabulary, working out problems or working through difficult emotions, and, perhaps most importantly, exercising their imaginations! Our Drama classes encourage our children to become more in touch with their own emotions, learn to cooperate with their peers, and practice skills that will be important for their future educational endeavors like self-regulation, speaking and listening, responding to others, and seeing the world in different ways. Additionally, our children are encouraged to role-play circumstances they may not have experienced yet to help them learn appropriate responses and reactions. By using props and costumes, our students have the added benefit of practicing skills and learning about community helpers and occupations. All of this is conducted in an affirming and fun environment so that our children feel safe to express themselves. 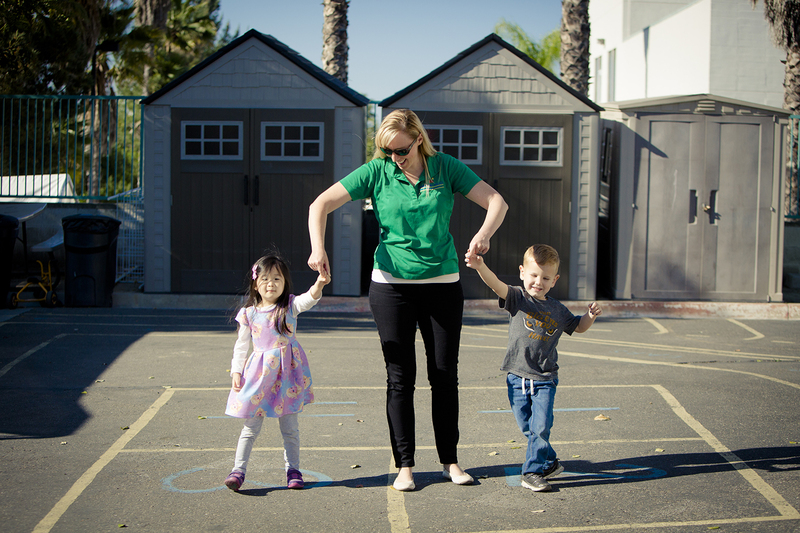 At Mission Viejo Montessori, we want our children to excel in the world outside of our school as well as in. As such, we believe that learning another language is very important in early childhood because connections in the brain are still being formed and the connections in the language center can easily adapt to new languages. With this in mind, our students begin Spanish classes at age 2.5. Through songs, games, and group lessons, our students learn the names of familiar objects, foods, colors, and shapes, as well as numbers and counting. To reinforce self-regulatory skills, the children also discuss how they are feeling. By coloring worksheet pages with Spanish words and pictures, early literacy skills are supported and students engage further with the assigned curriculum. At the beginning of each class, early Spanish conversation skills are practiced as the children introduce themselves and ask each other and their teacher how they are today.